Dental inlays and onlays are a form of tooth coloured filling made of laser cut zirconia to fill a large cavity where there is not enough tooth structure left to place a crown. 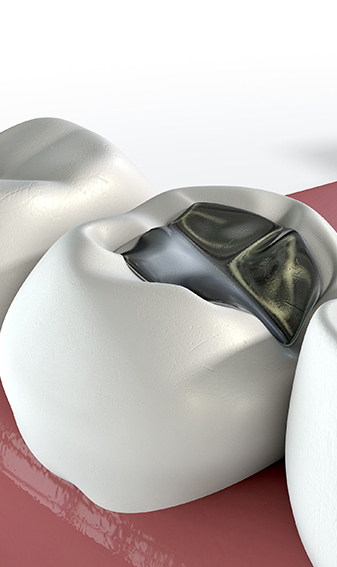 Inlays and onlays provide a robust, functional, durable, and better looking restorative solution for a damaged tooth that may otherwise have been lost. The difference between inlays and onlays is that an inlay fills the space left by removing an amalgam filling when the remaining tooth structure is still strong. 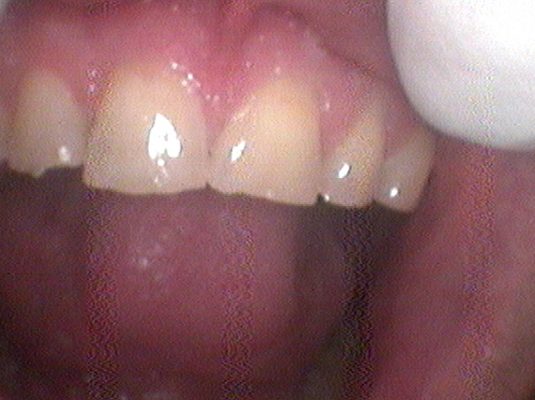 While onlays are used to cover the top of the tooth, extending over the biting surface when the remaining tooth is fragile. 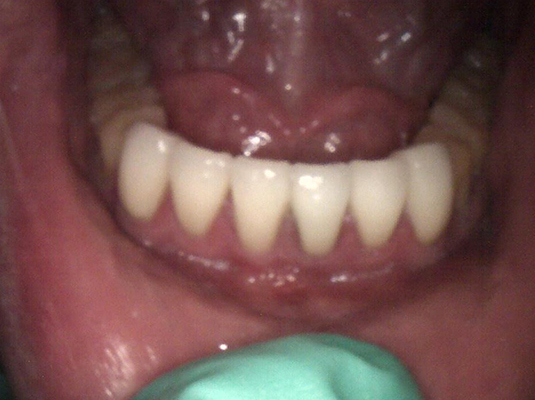 Both restorative procedures are permanently cemented into place, and cannot be removed. Why Are Inlay and Onlay Treatments Required? These procedures are used to restore a tooth that is too damaged to repair with a dental filling, but not damaged enough to require more extensive procedures, such as root canal or dental crown. A successful dental inlay or onlay procedure saves the healthy portion of a damaged tooth and provides it with enough strength for normal chewing. Superior fit the procedure seeks to preserve as much of the healthy tooth as possible, offering a great alternative to crowns. Strength and stability the approach makes use of durable materials that protect any weak areas of the tooth and even strengthen it, eliminating the need for future dental treatments. Functional longevity the fact that the procedure preserves the healthy tooth structure and repairs damaged or decayed areas keeps the tooth functional for longer – up to 30 years. 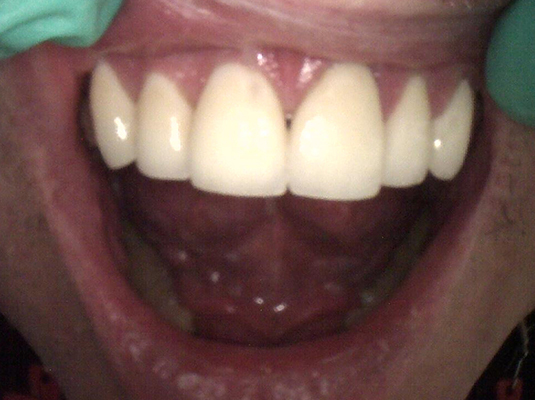 Aesthetic longevity compared to tooth-coloured resin fillings, inlays and onlays will not stain over time. The treatment takes two appointments to be completed. On the first visit, we isolate and numb the area, drill the damaged tooth to remove any decay, take an impression of the damaged tooth, and creates a temporary restoration to protect your tooth while the inlay or onlay is created in our dental laboratory. At the second appointment, we remove the temporary filling, fit the inlay or onlay correctly, and then bond it to the tooth with a strong resin adhesive. 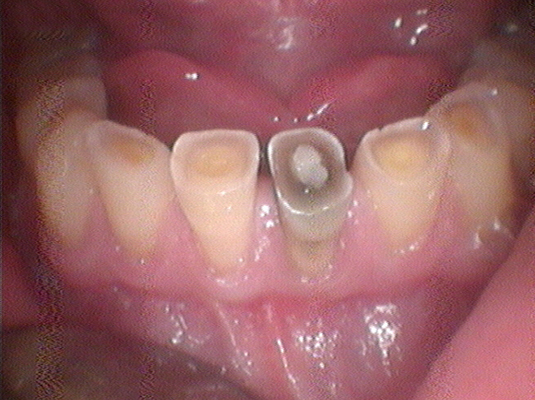 The tooth is then polished to provide a smooth and glowing finish. Each appointment takes about one hour. For more information about Inlays and Onlays, contact us today on (02) 9452 5600.